Following in the tyre tracks of the European, UK and South American launches, the new sixth-generation Volkswagen Polo has debuted in South Africa. Specifications and prices have also been announced, the range starting with the R235,000 Trendline, rising to the Highline DSG at R302,200. Identical to the European-market cars – therefore not featuring the revised front bumper seen on South American new Polos – the new MQB-based South African Polos see the same 92mm / 81mm increase in wheelbase / length, as well as evolutionary but sharper lines, including the distinctive shoulder ‘Tornado Line’ which runs down the length of the car when viewed in profile. There’s also the same larger 351-litre boot, afforded by the overall larger size (Polo VI is close to a Mk 4 Golf in dimensions), plus the raft of standard-setting safety systems including blind spot monitor, park assist, and multi-collision technologies. There’s also the same Active Info Display digital instrument pack as sixth-generation Polo models in other territories. The new Polo will be available in the three trim lines Trendline, Comfortline and Highline and also as a special Beats version (with a 300-watt Beats sound system). The 197bhp new Polo GTI will be launched in South Africa in the second quarter, and exposure for the car will gain traction with the new sportster providing a base for the new Engen Volkswagen Cup Polo racer for the 2018 season. Personalisation takes a step up with the new Polo, and the sixth-generation model can be customised to create a car that is almost one-of-a-kind by way of many different trim lines, colours, interiors, wheels and options. The dashpad for example can be had in Limestone grey Metallic on Trendline and Comfortline models, while in Highline specification, a Deep Iron Metallic version is offered. 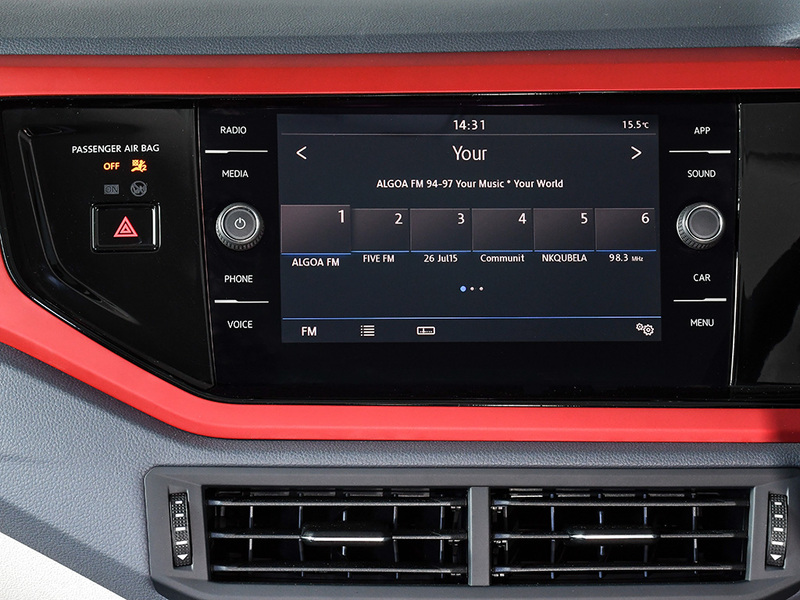 A Velvet Red dashpad is fitted to models with the extra cost Beats package, while Reef Blue also brightens up the new, digital-focused interior. Ten exterior colours are offered: Dark Petrol, Flash Red, Pure White, Deep Black Pearl Effect, Energetic Orange, Limestone Grey Metallic, Pale Copper, Reef Blue Metallic, Reflex Silver Metallic, and White Silver Metallic. Included in the options list are ‘big car’ features such as high-intensity full-LED headlights, LED tail light clusters and a panoramic sunroof. The digital Active Info Display instrument pack is available from launch as an option on Comfortline and Highline models. The entry-level new Polo Trendline features front electric windows, front / rear curtain airbags, LED daytime running lights, and the 6.5-inch Composition Colour touchscreen infotainment system with four speakers and USB / Bluetooth connectivity. It can be distinguished by its lack of brightwork around the front grille, and its 14-inch steel wheels, complete with full-sized trims. Moving up the range, the Comfortline adds a driver alert system, a leather multifunction steering wheel, a ‘Plus’ multi-function display, rear electric windows, and an additional two speakers. External features include a chrome grille strip which connects the headlights, as well as colour-coded door handles and mirror caps, and 15-inch alloy wheels with ‘Salou’ wheel trims (15-inch ‘Sassari’ alloy wheels are a no cost option). Drivers who opt for the range-topping Highline gain an 8.0-inch, glass-encased ‘Composition Media’ touchscreen infotainment system with ‘App-Connect’ (Apple CarPlay and MirrorLink connectivity options), cruise control, front sports seats, white LED interior ambient lighting, as well as voice control. Polo Highlines can be seen by their additional chrome strips in the lower ventilation grille and their 16-inch ‘Las Minas’ alloy wheels. Highline-specification cars also feature a driving profile selection option as standard. Four driving modes can be selected: ‘Eco’, ‘Sport’, ‘Normal’ and ‘Individual’. When in ‘Eco’ mode, the air conditioning, engine control, and other auxiliary systems are regulated for optimal fuel efficiency. In vehicles fitted with DSG transmission, a coasting function can also be used with the Eco mode. The Comfortline and Highline models can be further enhanced by choosing either the Beats or R-Line packages. Beats-trimmed South African new Polos appear the same as their European counterparts, with black mirror caps, special bonnet and roof decal stripes, and ‘Beats’ badges on the B-pillars. Sixteen-inch ‘Torsby’ alloy wheels complete the striking look. Inside, there’s a 300W Beats audio system with amplifier and subwoofer mounted in the boot, and perhaps the most colourful Polo interior this side of a Mk 3 ‘6N’ or ‘6N2’ Colour Concept model, with a ‘Velvet Red’ dashpad, Beats-branded door sill trims, and a distinctive three-colour (Aqua Graphite, Ceramique and Velvet Red) seat design. R-Line package cars meanwhile get a new sports front bumper similar to the Polo GTI, with gloss black C-shaped air curtains. There are also gloss black side sills extensions, a gloss black rear spoiler and diffuser, and 17-inch ‘Bonneville’ alloy wheels. Available from the second quarter in South Africa, the new Polo R-Line provides GTI-style looks in a less expensive package. 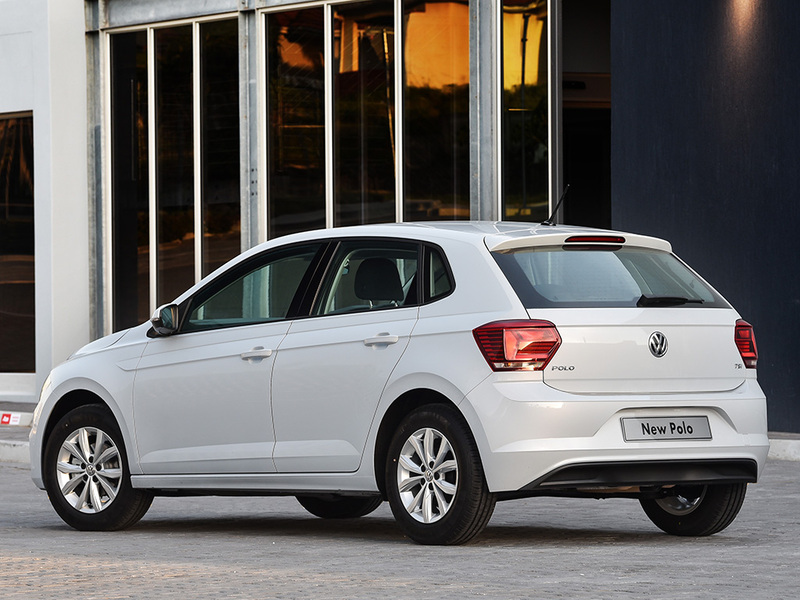 Two engines power the new Polo for South Africa. Both are turbocharged three-cylinder units, with 70kW / 93bhp or 85kW / 113bhp, and have been seen in new Polo models in other global markets. The 70kW unit has 175Nm / 129lb ft of torque and can do the 0 to 100km/h / 62mph dash in 10.8 seconds, while the high-powered 85kW engine has 200Nm / 147lb ft. Top speed of the 70kW car is 187km/h / 116mph. The lower-powered car can be ordered with a five-speed manual transmission, while the higher-powered model gains an extra ratio. Both can also be allied to the optional seven-speed DSG gearbox. All prices include VAT and emissions tax. The new Volkswagen South Africa Polo models come with a 3-year / 45,000km Service Plan, 3-year / 120,000km warranty and a 12-year anti-corrosion warranty. Service intervals are 15,000km. The Volkswagen South Africa factory in Uitenhage is one of three plants in the VW production network that assembles the Polo hatch. In South Africa, the Polo is produced for both the local and export markets. Since its 2010 launch, the fifth-generation Polo has consistently been the second best-selling passenger car in South Africa: its sibling, the fourth-generation Polo-based Polo Vivo being the best-selling model. 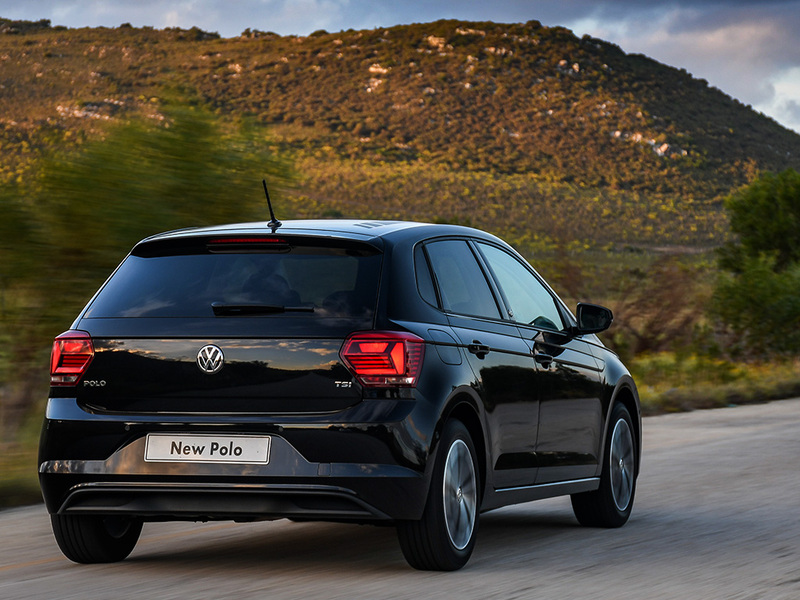 Close to 200,000 units have been sold since 2010, and in 2017 alone, the Polo was bought by 22,916 customers in South Africa. Volkswagen Group South Africa has just completed a major investment programme in new products, plant and suppliers to develop local content. Since 2015, VW has pumped R6.1 billion into the area – new models are currently running at a 60 per cent local content level, with plans to achieve even higher targets. The company has also introduced the ‘new One-line Concept’ for the first time as part of the big investment, where models with different platforms can be built on the same production line: traditionally a technical challenge. And rather than shed jobs, to meet expected demand, a third shift at Uitenhage will be introduced from April 2018. When production is running at full steam, a new Polo will roll off the Uitenhage lines every 1 minute and 57 seconds, and 83,000 units will head of to export markets, bolstering the local economy of the Eastern Cape region. 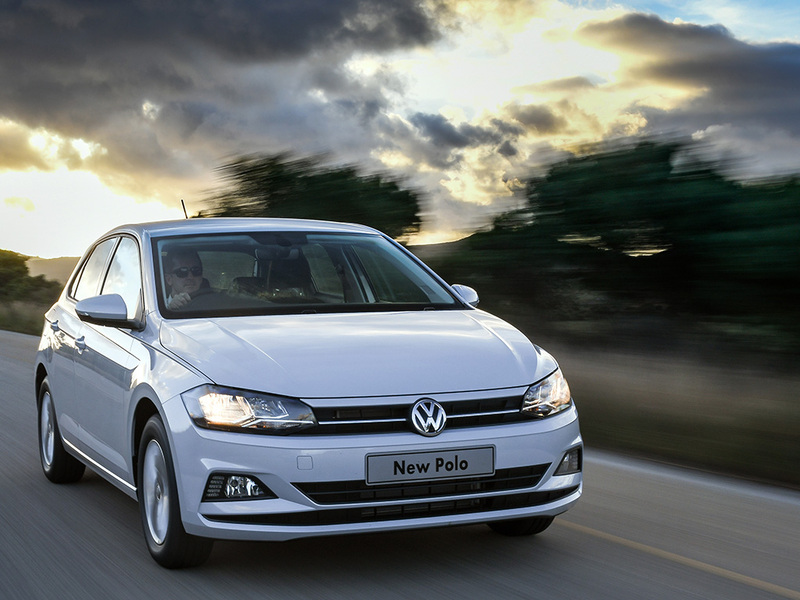 The sixth-generation Polo will be in South African showrooms from 10 February. Volkswagen South Africa expects to build 133,000 cars in 2018, up from 110,000 in 2017, with left-hand drive Polo GTIs expected to feature in the mix, too. 2019 will see that capacity increase still further to 160,000. As well as the sixth-generation Polo, a newer version of the Polo Vivo will also be introduced next month, and we suspect that it will lose its facelifted Mk 4 Polo skin and will be based on the now discontinued fifth-generation Polo instead. Elsewhere, Volkswagen has plans to open Rwanda’s first vehicle assembly plant in Kigali later this year. Expected to produce its first cars in June, the plant in the Special Economic Zone in Kigali will produce around 1,000 cars in its first year, expected to be a special new ‘Think Blue’ Volkswagen, as well as versions of the all-electric e-Golf. 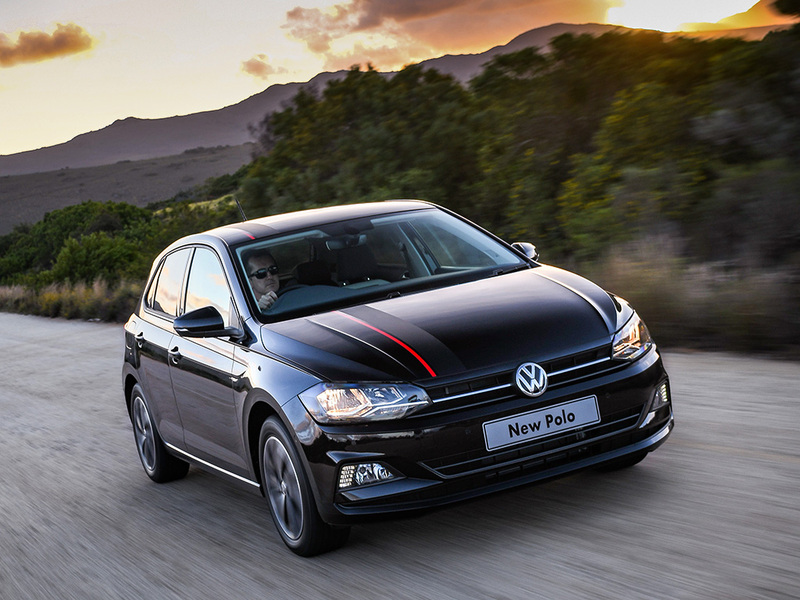 South Africa is just one of the worldwide markets in which the new Polo will star. Already launched and available to order in Europe, the UK, and Brazil, Taiwan is next on Volkswagen’s new Polo hit list. The new car debuted at the 2018 Taipei motor show in early January, with the 113bhp, turbocharged 1.0-litre TSI engine, allied to the seven-speed DSG transmission. Kicking off with Trendline, trim levels rise through the predictable Comfortline, and R-Line. The Beats model with its 300W sound system is available in a 1,000-unit run, limited edition. Prices start at TWD 7,48,000, and top out with the TWD 8,68,000 Beats.